At the edge of science and medicine a battle is being waged unseen to the naked eye. It is humans versus bacteria and when it comes to Gram negative bacteria, we humans are having a pretty hard time. Here, a top infectious diseases pharmacist and researcher in this field weighs in on some of the top unanswered clinical questions. Perhaps the most difficult part of putting this together was limiting the topic to only 5 unanswered questions in the management of infections due to multi-drug resistant (MDR) or extensively drug resistant (XDR) Gram-negative bacilli, as almost everything remains unanswered! The top 5 unanswered questions are truly in the eye of the beholder. I have chosen to focus this article on the questions I am asked about most commonly, those where there is extensive disagreement in the infectious diseases community, and those infections associated with high and often unacceptable mortality rates. Therefore, with all due respect to controversies surrounding optimal therapeutic regimens and duration of therapy for pseudomonal pneumonia, the role of inhaled antimicrobials for nosocomial pneumonia, the role of new antimicrobials for the treatment of MDR pathogens, and dosing strategies in obese and critically ill patient populations, here are, in no particular order, my top 5. 1. What is the role of piperacillin/tazobactam (and potentially other beta-lactam/beta-lactamase inhibitor [BLBLI] combinations) for the treatment of invasive infections due to extended spectrum beta-lactamase (ESBL) producing enterobacteriaceae? One of the most concerning developments with regards to drug-resistant organisms has been the development and rapid expansion of carbapenem-resistant enterobacteriaceae (CRE). Invasive infections due to CRE are associated with mortality rates that can exceed 50% in vulnerable patient populations and have limited therapeutic options that include toxic, pharmacokinetically suboptimal, or novel untested agents. ESBLs are an important epidemiological precursor to CRE. Carbapenems are the long standing drug of choice for the treatment of ESBL infections since the turn of the century when data began to emerge that cephalosporins were more likely to fail in patients infected with ESBL-positive organisms, despite apparent in vitro activity, whereas those who received carbapenems had positive outcomes. As rates of ESBL producing organisms have skyrocketed across the globe, the use of carbapenems has likewise substantially increased; and with increased carbapenem usage, comes increased rates of CRE. An interesting question has always been what role the BLBLI combinations (e.g., piperacillin/tazobactam [Zosyn]) could play in the management of these infections. ESBLs are class A beta-lactamases. This is significant, because traditional BLIs (clavulanic acid, sulbactam, tazobactam) can inhibit these enzymes. With inhibition, we see susceptibility to the parent drug (e.g., piperacillin) restored. Unfortunately, in the initial experience with ESBLs limited clinical data were published with the BLBLI combinations. Given the failures of the cephalosporins despite apparent in vitro activity, and the known positive outcomes with carbapenems, it became established fact that the latter should be considered the drug of choice for invasive infections due to these pathogens. However, given the rise in CRE, and the known association between carbapenem usage and its development, this question has taken on new life over the past five years. Clinical experience to date has come in the form of multiple retrospective cohort studies comparing patients who received either empiric or definitive therapy with a BLBLI (either IV amoxicillin/clavulanic acid or piperacillin/tazobactam) or a carbapenem for ESBL bloodstream infections. In the analyses there has been no association between treatment and increased mortality, suggesting that BLBLIs, when active in vitro, are suitable treatment options for ESBL bloodstream infections. While these data are interesting they come with important limitations that must be taken into consideration. First off, as would be expected in retrospective, non-interventional data from clinical practice, patients in the carbapenem arm are commonly sicker (i.e., more comorbidities and a higher severity of illness), have more deep seeded sources of infection, and are more likely to be immunosuppressed. Additionally, patients receiving definitive therapy with carbapenems have more prolonged period of time until placed on appropriate therapy, a known predictor of mortality. Furthermore, the majority of patients who get empiric therapy with BLBLIs end up getting definitive therapy with a carbapenem, which significantly confounds the data. In addition to all these items, optimal pharmacodynamic exposures of BLIs are just beginning to become understood, and these emerging data suggest that the exposures achieved with even high doses of BLBLIs would only be sufficient for isolates with low piperacillin/tazobactam MICs. In fact two analyses that look at the impact of BLBLI MIC and outcome suggest that the outcomes are better in highly susceptible strains (MIC’s ≤ 2/4 mg/L), which is concerning, as the current breakpoint is 16/4 mg/L. The bottom line is that the clinicians should exercise extreme caution in using BLBLIs for ESBLs until higher quality evidence and perhaps the correct susceptibility breakpoints are available. Thankfully, the MERINO trial is an international randomized controlled trial that is currently ongoing that will compare piperacillin/tazobactam and meropenem for ESBL bloodstream infections. This trial should help definitively answer the question. However, whether or not using piperacillin/tazobactam over ertapenem for ESBL infections will have a positive or negative selective pressure impact also remains to be seen. Harris PN, Tambyah PA, Paterson DL. β-lactam and β-lactamase inhibitor combinations in the treatment of extended-spectrum β-lactamase producing Enterobacteriaceae: time for a reappraisal in the era of few antibiotic options? Lancet Infect Dis. 2015 Apr;15(4):475-85. 2. Is cefepime really an option for “Susceptible- Dose Dependent” enterobacteriaceae, as long as I give the right dose? The past five years have seen many susceptibility breakpoint changes for cephalosporins and carbapenems in Gram-negative bacilli due to enhanced knowledge of pharmacokinetics and pharmacodynamics, the desire to be able to more readily (and easily) identify resistance mechanisms such as ESBLs and carbapenemases, and to a much smaller degree based on clinical data. The most recent cephalosporin assessed for breakpoint revisions was cefepime. While the cefepime breakpoint for Pseudomonas aeruginosa remained susceptible at MIC’s ≤ 8 mg/L, the breakpoint for enterobacteriaceae (which was previously 8 mg/L as well) decreased to 2 mg/L, with the introduction of a “susceptible-dose dependent” category for isolates with MICs of 4-8 mg/L, where, as long as higher doses are used (1 g q8h for MIC = 4 mg/L, 2 g q8h for MIC = 8 mg/L) these would be considered treatable. The reason for these changes, per the CLSI, were that: a) the previous breakpoints were based on “higher dosages”, b) that there were an increase in clinical failures at MICs of 4-8 particularly when lower dosages were used, and c) that in the era of few drug choices there was a need to optimize every agent to the degree that we can. Clinical data that have come out, since this time frame, have not particularly supported this decision. Data in patients with ESBL bloodstream infections, Enterobacter spp. bloodstream infections, and all Gram-negative bloodstream infections have shown mortality rates to significantly increase when the MIC increases above 2 mg/L even despite use of what should be considered adequate doses (i.e., these studies all used 1-2 g every 8 hours, in accordance with the new CLSI recommendations). While these data raise significant concerns, it is important to note that all of these studies have had extremely small numbes of patients who both received cefepime and had elevated cefepime MICs. Furthermore, whether extended infusions of cefepime, which are employed by many institutions, can improve outcomes in these “S-DD” isolates remains unclear as no data are published using this strategy. Therefore, while the final answer to this question remains unknown, clinicians should use caution in using cefepime for these isolates until further data become available. Nguyen HM, Shier KL, Graber CJ. 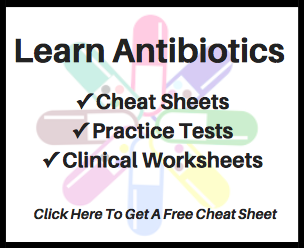 Determining a clinical framework for use of cefepime and β-lactam/β-lactamase inhibitors in the treatment of infections caused by extended-spectrum-β-lactamase-producing Enterobacteriaceae. J Antimicrob Chemother. 2014 Apr;69(4):871-80. 3. Should I use combination or monotherapy for the treatment of serious infections due to carbapenem-resistant Gram-negative bacilli? When dealing with carbapenem-resistant Gram-negative bacilli clinicians are left with limited and suboptimal treatment options. While recent additions of ceftolozane/tazobactam (Zerbaxa) and ceftazidime/avibactam (Avycaz) have given clinicians novel beta-lactam based treatment options for Pseudomonas aeruginosa, and carbapenem-resistant enterobacteriaceae (CRE), experience remains extremely limited with these agents and isolates with resistance to these newer agents have already been identified. The options remaining all come with significant limitations that temper enthusiasm about them. The mainstays of therapy, the polymyxins, are associated with a dose-limiting nephrotoxicity (occurring around ~30-50% of the time!! ), an inability to hit pharmacodynamic targets for deep-seeded infections, and significant heteroresistance, most notably in A. baumannii. While tigecycline retains excellent in vitro activity against carbapenem-resistant A. baumannii (CRAB) and enterobacteriaceae, enthusiasm has been mitigated for this agent due to suboptimal pharmacokinetics (concentrations obtained in the blood, lungs, and urine with standard dosing are below the MICs for many MDR and XDR isolates), the bacteriostatic nature of the drug, and troubling reports of resistance development while on therapy. Minocycline, an older, second generation tetracycline has shown recent promise for CRAB, however clinical experience to date is extremely limited and optimal dosing strategies remain poorly defined. The aminoglycosides are hampered by both nephrotoxicity concerns, as well as suboptimal pharmacokinetic distribution and this class of antimicrobials has been shown to be inferior to beta-lactams and fluoroquinolones for infections outside of the urinary tract. Finally, fosfomycin, which can retain activity against a wide spectrum of multi-drug resistant Gram-positive and Gram-negative organisms, is limited by both its only availability in the US being an oral formulation for the treatment of cystitis and significant concerns for resistance development with monotherapy. Based on all of these issues, there has been significant interest in combination therapy for the treatment of these pathogens. In other words, since all of these agents are likely inferior on their own, could this be overcome by giving multiple agents to, in a sense, equal one better agent? The currently available evidence looking at combination vs. monotherapy for these organisms is relatively scant and is often limited by small sample sizes, suboptimal study design (retrospective, observational data), and a significant heterogeneity in agents that have been used (i.e., “combination therapy” in these studies have a wide range of different combinations used even within the same study). For CRAB, two small, open-label randomized control trials largely treating pneumonia, have shown that colistin monotherapy has been as effective, with regards to 30-day mortality, as colistin + rifampin or colistin + fosfomycin. It is again important to stress that these studies were small (n =207 and n=94, respectively) and open-label in nature. Interestingly however, four studies, all looking at CRE bloodstream infections have shown significant decreases in mortality with 2-3 active drug combination regimens when compared to monotherapy. As previously mentioned however, these studies are limited by their retrospective nature and their extreme heterogeneity in combination regimen given. Importantly, there are currently two international multicenter randomized controlled trials ongoing comparing colistin monotherapy to colistin + meropenem combination therapy for invasive infections due to carbapenem-resistant Gram-negative bacilli that should help to answer this question. See suggested readings after #4 below. 4. If I am going to use combination therapy for a carbapenem-resistant organism, which agent(s) should I use? As unclear as the combination versus monotherapy question is, it takes on an added level of confusion when we ask what the ideal combination should be. Most clinicians will utilize the polymyxins as their backbone regimen due to their excellent in vitro activity, their historic place as the first line therapy for these organisms (i.e., clinicians are used to using them), and their unique and bactericidal mechanism of action. This mechanism of action is worth mentioning here as it leads to one of the central debates in the combination regimen realm. The polymyxins interact electrostatically with the outer membrane of susceptible Gram-negative bacteria. Being highly positively charged molecules the polymyxins interact with the highly negatively charged lipopolysaccharide leading to displacement of divalent cations (Mg, Ca) and the subsequent loss of the integrity of the outer membrane. This starts a process that leads to eventual cell death. Importantly, however, this unique mechanism leads to potent synergy, as the impermeability barrier of the outer membrane is what leads, at least partially, to high levels of resistance to other antimicrobial agents in these organisms. Therefore, when polymyxins are employed they can enhance the concentrations of the second antimicrobial that get to its site of action, which accounts for the synergy seen. If we accept the premise that polymyxins should serve as our “backbone” (note: this is not universally accepted), the question becomes what agents do we combine them with? The data, unsurprisingly, are unclear, and it appears that the correct answer to this question may differ based on pathogen. Unfortunately, there are no data currently available looking at polymyxin combinations for carbapenem-resistant P. aeruginosa, and current practice amongst many clinicians will be to choose the second agent based on the susceptibility profile of the given isolate. If the clinical isolate has intermediate susceptibility or low-level resistance to a beta-lactam (i.e., MICs that are resistant by definition, but are near the breakpoint), often that agent will be chosen as the second drug. For A. baumannii there is also no clear answer to this question. As there are randomized controlled trial data suggesting a lack of benefit of rifampin as the second drug, and that receipt of this combination increases the rate of hepatotoxicity (not to mention drug interaction issues! ), it is prudent to avoid this combination. Combination therapy with colistin + a carbapenem is a common strategy employed by many clinicians; however, data are lacking to either support or refute this strategy. Given the data (to be discussed below) emerging in CRE showing the improved outcomes with multiple in vitro active agents, some clinicians (myself included) have moved to selecting tigecycline or minocycline as the second agent depending on which has better in vitro activity against the patients’ isolate and the site of infection (given known pharmacokinetic issues of tigecycline listed above). For CRE the data are most clear, and by that I mean they are extremely unclear. As previously mentioned above data have emerged in multiple retrospective analyses suggesting that use of 2-3 drugs with in vitro activity decreases mortality. Assuming that one of these should be a polymyxin (again, please note this is not a universal belief, and personally I often choose an aminoglycoside as my backbone for CRE), the question here becomes two fold: a) should I give 2 or 3 drugs and b) which drugs should they be? Interestingly, there seems to be a definite role for carbapenems as part of combination regimens in the treatment of CRE. If high dose meropenem is used (e.g., 2 grams every 8 hours as a 3-hour infusion), and the CRE isolate has a meropenem MIC ≤ 8 mg/L, evidence supports that meropenem should be part of the regimen. Whether or not a third agent should be used is a clinician specific decision. In my practice, I will add tigecycline if the organism is susceptible, and the patient is hemodynamically unstable. If the isolate has a meropenem MIC >8 mg/L, the second agent is often chosen based on remaining in vitro susceptibilities (which could include tigecycline or an aminoglycoside, although the latter is often avoided in combination with a polymyxin given the concern for additive nephrotoxicity.) Even though the evidence doesn’t support it, some clinicians will still use meropenem in this setting. As has been described above, these data are messy. The “clearest” data are in CRE, however, they are made significantly less well defined by the large number of different regimens used in these retrospective analyses. Furthermore, with the availability of ceftolozane/tazobactam and ceftazidime/avibactam, which can retain activity in carbapenem-resistant isolates, much controversy exists with regard to how to employ these agents. For example, if the isolate is susceptible to one of these, can I give monotherapy or do I need combinations still? We still have much to learn on all of these topics and hopeful the next few years will enhance our understanding. Perez F, Elchakhtoura NG, Papp-Wallace KM, et.al. Treatment options for infections caused by carbapenem-resistant Enterobacteriaceae: can we apply “precision medicine” to antimicrobial chemotherapy? Expert Opin Pharmacother. 2016;17(6):761-81. Zavascki AP, Bulitta JB, Landersdorfer CB. Combination therapy for carbapenem-resistant Gram-negative bacteria. Expert Rev Anti Infect Ther. 11(12):1333-53. 5. Which polymyxin should I choose: Colistin or Polymyxin B? The final unanswered question that I would like to address is this: if we are going to use a polymyxin (which as you can see we will often do in these isolates), which one should I choose? This is a loaded question that has taken on increasing interest over the past five years. To fully appreciate this question it is important to understand the history of the polymyxins. Colistin (which is administered in the form of its inactive prodrug, colistin methanesulfonate or CMS) and polymyxin B were introduced into clinical practice in late 1950’s. By the 1970’s these agents had completely fallen out of favor due to high rates of nephrotoxicity and neurotoxicity (approaching 50% of both!!) and the advent of safer alternatives (notably the aminoglycosides, and the later extended spectrum cephalosporins). These agents remained relatively unused until the 1990’s when, due to the development of resistance to these other options, they were brought back into clinical practice to treat carbapenem-resistant organisms. These agents coming to market prior to the modern era and their relative non-use for the better part of two decades are important pieces of the history lesson as it led to a scenario that these drugs re-emerged, to treat extremely sick patients with XDR pathogens, in an absence of an understanding on how to optimally use these agents (even what doses to use!!). When these drugs re-emerged in the 1990’s colistin emerged as the preferred agent for three main reasons: a historic (and not evidence based) belief that it was less toxic than polymyxin B, some recent experience in cystic fibrosis patients, and perhaps most importantly that the revival of the polymyxins commenced in Europe, where only colistin was available. Due to the increased use of colistin over the past 15 years a great deal has been learned about this drug, and a lot of it is not good. Perhaps most relevant to this discussion was the identification and understanding of the fact that colistimethate is an extremely slow and inefficient prodrug. CMS requires hydrolysis in the body to active colistin. While this in itself is not an issue (we have other examples of prodrugs in infectious diseases), it has been determined that the conversion to colistin is a slow process (it takes up to 7 hours to reach maximal serum concentrations – not good with the known association between time to appropriate therapy and mortality), it is inefficient (given this slow process, roughly 75% of the prodrug is eliminated prior to conversion to active colistin), and it is unpredictable (at a given dose and creatinine clearance, patients can have a ~10-fold variation in levels- which is very concerning with a drug that has an extremely narrow therapeutic index. Given these limitations, many clinicians, in areas (like the US) where both polymyxins are available, have moved to preferential use of polymyxin B over the past few years, given its availability in the active form of the drug in order to overcome these prodrug issues. Importantly however, very little remains known about how to optimally dose polymyxin B. Interestingly, multiple recent analyses have actually suggested the polymyxin B is actually associated with lower rates of nephrotoxicity when directly compared to colistin. This finding has further enhanced the polymyxin B “hype train.” It is important to remember however, that very little is known about the optimal usage strategy for polymyxin B and while these findings are encouraging, data suggesting clinical superiority of polymyxin B are lacking. Until the time where polymyxin B is fully understood, comparative clinical efficacy favors one agent over the other (or if equivalent efficacy is seen in the setting of a better safety profile) usage of either polymyxin is appropriate and reasonable. Nation RL, Velkov T, Li J. Colistin and polymyxin B: Peas in a Pod or Chalk and Cheese? Clin Infect Dis. 59(1): 88-94.